Now on Tuesday this space will morph into a blizzard of class lists, teacher schedules, post it notes and pulled out hair. Yes it will be time to once again reinvent the wheel also known as scheduling. But as I have found in the past 38 years this can be accomplished with many tweaks along the way AND throughout the school year. I’ll see you once I shovel out the mess and actually start with students! So here’s where I should comment about my lack of posts but how about some fun pictures from my summer vacation instead! 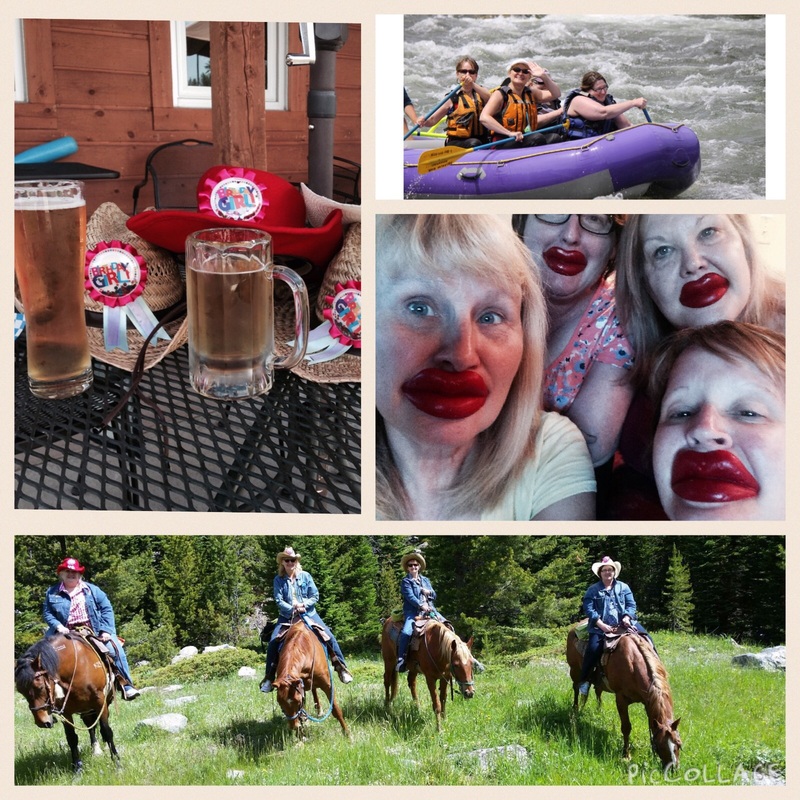 I am so lucky to have lifelong friends who wanted to celebrate our milestone birthdays (yes 60 of them) by taking a trip to Wyoming and Montana. 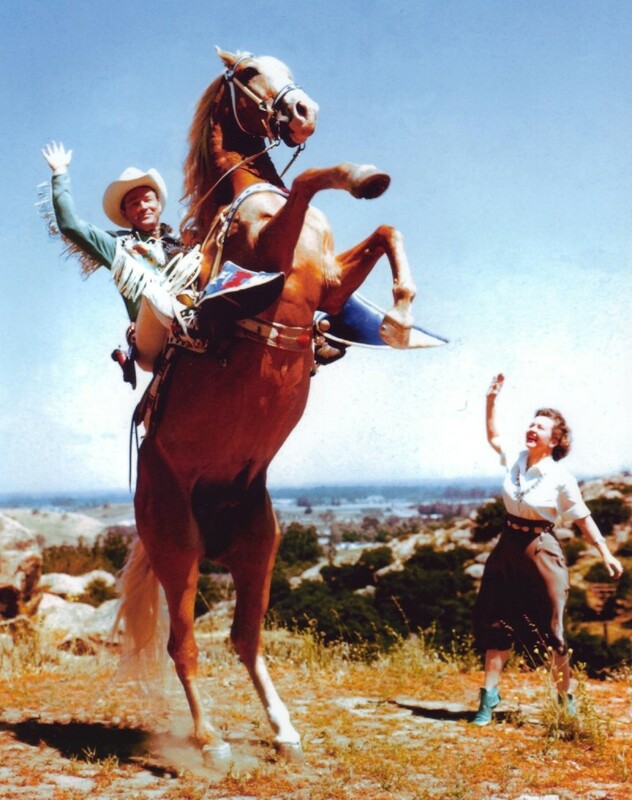 Cowboys, happy hour, whitewater rafting, happy hour, pig races, happy hour, horseback riding, happy hour, shopping, happy hour, rodeo, happy hour, mountain exploring and did I mention happy hour?! Many memories and laughs were shared. So with a new year beginning I am making no promises that my posts will be on any kind of schedule. I did promise myself that I would share any therapy ideas that others may find useful. If you’ve read my blog you know I like therapy with a twist so stay tuned. 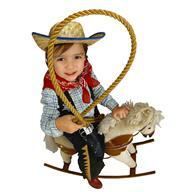 I do have some Wild West ideas galloping through my brain and will try to rein them into therapy. Of course I found therapy materials on my trip I am an SLP after all. Can’t wait to see the twists you add to your therapy sessions! Material Open Top Containers I used left over borders and taped them inside to get a more uniform look. I also did this to the portable storage drawers. The ball chair was given to our school this year. A furniture company did a photo shoot this summer and donated all the furniture to our school- standing desks, carts, etc. The “talk back chattering teeth” record your voice. I bought them on my summer vacation at a Cracker Barrel restaurant and could not find them online. I did see one on eBay. Sorry! The M & M dispenser was bought at the M & M store in Las Vegas. They sell them other places too. And no I no longer fill it with candy…darn heathy eating in schools. My Fairy Door was bought from a wonderful New Zealand craftsman (Imagination Doors) who has moved and closed shop….temporially I hope. 2012 may not have been my best year but I’m keeping positive and hoping for only the best in 2013 for all! Reflecting back I do have a number of things that helped me in my therapy sessions this past year. Custom Boards– my go to app to create materials. I like the flexibility to use the symbols within the app, adding your own pictures or finding pictures on google. I can even make materials within a therapy session with the students, save it and print it for them to take home immediately. Rainbow Sentences – an app that helped my students on so many levels: syntax, following directions and for a couple it motivated them to verbalize. Articulation Scenes – yes I use many traditional articulation apps but this one is different- my students begged to play this one! They loved earning trophies and wanted to do all the sound scenes even though those that were not their sound errors. Conversationbuilder Teen – this is an app geared for older students and I used this more with clients I see in the speech clinic. I loved how the conversations looked like text messages and were in teen language. The version I used for the students at my school is called Conversation Builder. Story Pals – is a reading comprehension app for short stories and follows with a quiz. You can even create your own stories and quizzes. Question Sleuth– this app can be used to work on categories or asking questions to decide what item was hiding the star. 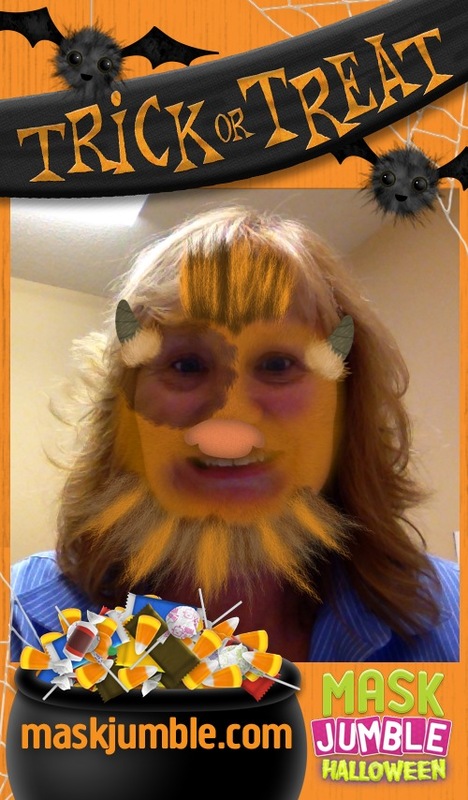 You can add your own images and create your own categories. Talking Train is a new app from all4mychild. I use it for sequencing, vocabulary and storytelling. You can draw a picture or add an image on 3 train cars. Record a story or words for each train car and tap go to send the train on its way. Syntax City – an app to work on pronouns, plurals and more. I like how you can have a group of students working on different skills and levels at the same time. My students were so diligent and proud to see their report cards improve after each session. 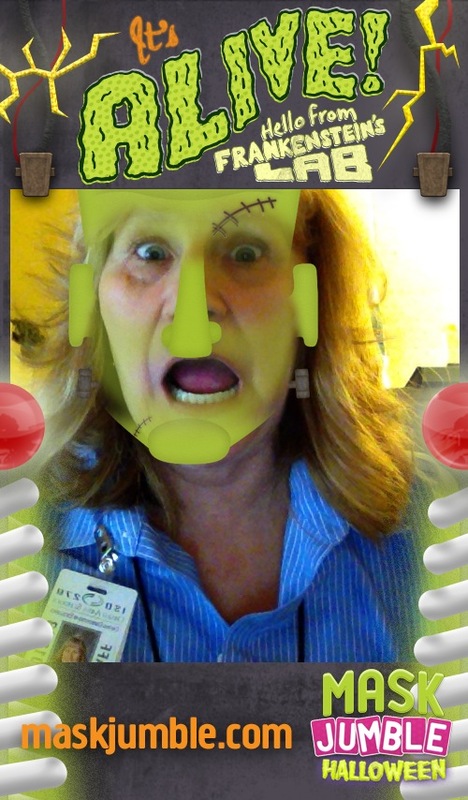 For my less verbal kiddos I used apps by Hamaguchi. There is a plethora of SLP blogs and SLP Facebook pages this past year. I had listed some on the side of my blog but have not been able to keep up with all of them. What a wonderful way to get new ideas and connect with SLPs! 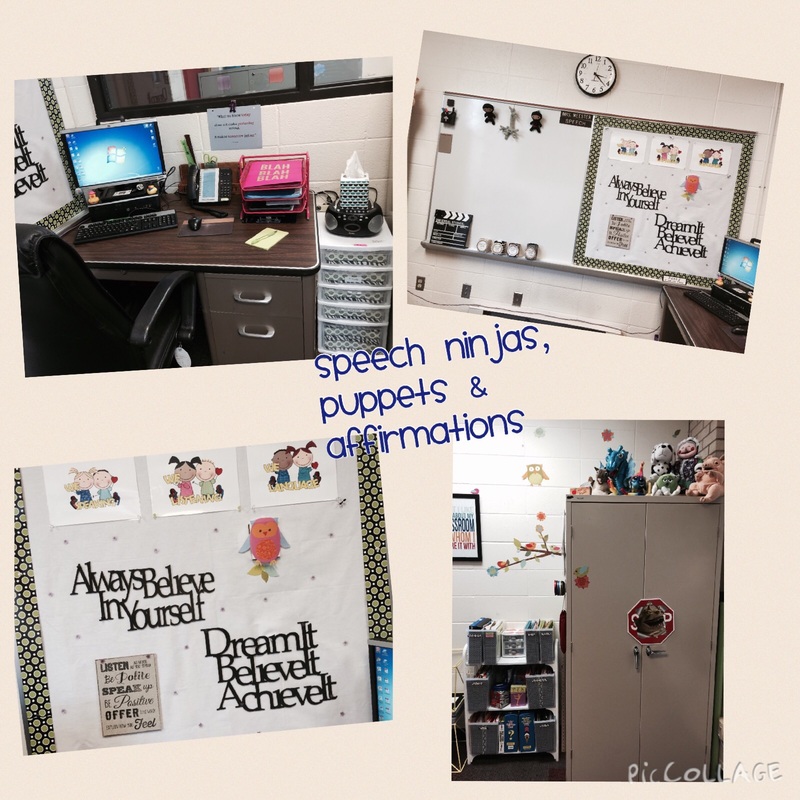 I work with a wonderful group of SLPs, special educators and regular educators in my school district. This is a shout out to only two of them for making conncections and helping me make it through 2012. Liz is an Occupational Therapist who allows me to do groups with her. We have worked together long enough what if you were observing a session it might be difficult to tell who is the OT and who is the SLP. 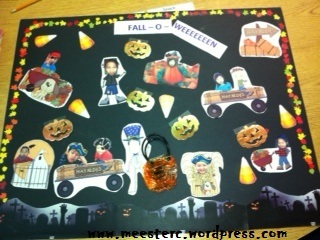 We combine motor and language using obstacle courses, theme units, letter of the week and more. 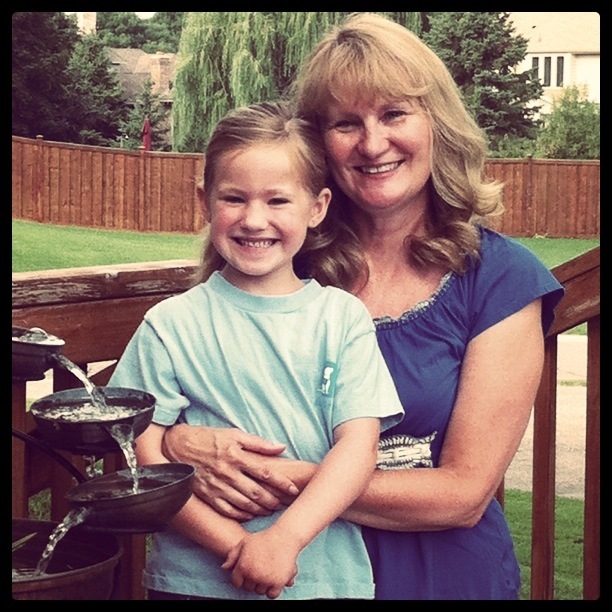 Laura is a special education teacher who has a one of our site based autism classrooms. She is someone who is such a gentle teacher even in the midst of tantrums. 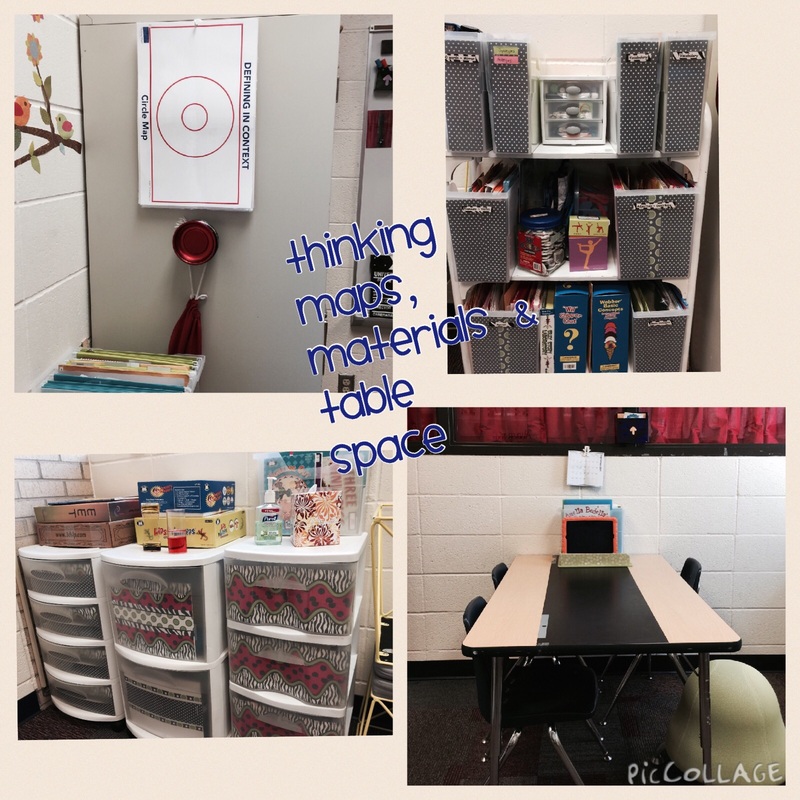 We can collaborate about student needs and come up with ideas to work on together. I never worry if I need to change my schedule with her students. I enjoy working within her room and learning from each other. The other connections that have brought smiles, knowledge and new experiences all came from social media. I have “met” so many SLPs on Speaking of Speech, Perkilou Therapy Group, Facebook and twitter. Meeting many of these SLPeeps and others in person at the ASHA convention was energizing! So shout outs to Mary H. (speech adventures), Sean S (speech techie), Jonathan F, Dean T, Barbara F, Kyle T, Rosie S, Lucy N, Tiffany W, Ramya K, Eric & Kelly S, Jeremy L (speech guy), Shareka B, Kim L (Activity Tailor), Heidi, Meghan, Karen, Jill, Megan S, Milo and more! One thing I try to remember is you never know how big a small connection can be. A smile, a thank you, holding a door, a “I like your shirt” or stopping by to say hello just might bring a rainbow to someone’s rainy cloudy mood. Allow me to be a little nostalgic- When I first entered the SLP field I was fresh out if college with my bachelors degree as MN had not yet change the requirement for needed Masters degree. We did not have phones in our rooms, Internet, social media, blogs or TPT sites. If I wanted to consult with another SLP I had to try to get on the one phone in our school and hope I could reach the SLP at her school (almost impossible). OR I could hand write a note and send it out through inter-school mail and wait for a week or so for a response. Now we can connect via many channels: cell phones, texting, Facebook, face time, twitter, email, blogs, etc. So how lucky are we! Of all my posts about therapy ideas my favorite was my Reduce, Reuse, Recyle. I think I liked this because it was so spontaneous and the kids really took charge of the sessions. It also made me smile as they tried to figure out directions for right and left as they sat across from each other! Looking at my blogs stats for the past year it looks like the one with the most hits was my Can You Sea Me Now. Ok more nostalgia – “back in the day” when I first started working in the schools we either had to wait for a catalog to arrive and hope there was a budget to order materials. The process of submitting a request on NCR forms and hope you could press hard enough to be legible through all three sheets and then wait for a few weeks until the item(s) arrived was often frustrating. 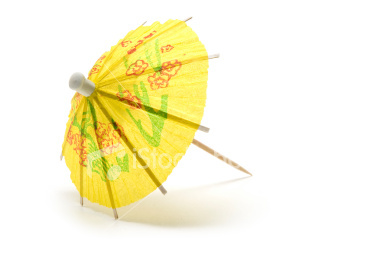 The other option was creating your own materials without cute clip art. It might involve hand drawings, creating hand written dittos or if lucky using a typewriter and hope you did not make a typo! The copy machine was rare and it only used this really slippery paper that you could not were really write on. The other option was a huge projector that would project a page onto the wall. You would trap paper on the wall and trace the picture then color it later. Anyone remember what this was called? I couldn’t find a picture. It was not an overhead projector. It was a huge clunky machine. I have not been able to post to my blog as I had intended or as often as I had in the past. It doesn’t really matter why but what should be the direction I take now. As I look at all the new blogs it makes me feel comfortable keeping mine to what I feel I do best- provide therapy with a twist. That to me is taking something and turning it into a therapy tool or lesson. So in this widening world of bloggers I will continue to add my own twist. Happy 2013 everyone! Keep on connecting! I’m off to buy some duct tape to go with a therapy twist I have stuck in my mind! I’ve always thought that I was more productive when I had more on my plate and deadlines closing in…. Or so I thought. 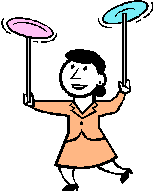 But these last few weeks have been too much and I have found myself literally juggling plates when our house sold. I didn’t break any but I did pack them, toss some and set some aside to eat on. With the number of craziness hitting me all at once I decided the only one putting demands and deadlines on my plate was ME. So I gave myself permission to do nothing but try to survive the stress of moving, house hunting, temporary housing, living out of boxes, car repairs, family stuff, school starting etc. etc. So that is the main reason I have not posted for quite some time. Plus having my computer packed away….somewhere makes it difficult! So giving myself permission has relieved some of the stress. But I do want to share a few things I have been enjoying. 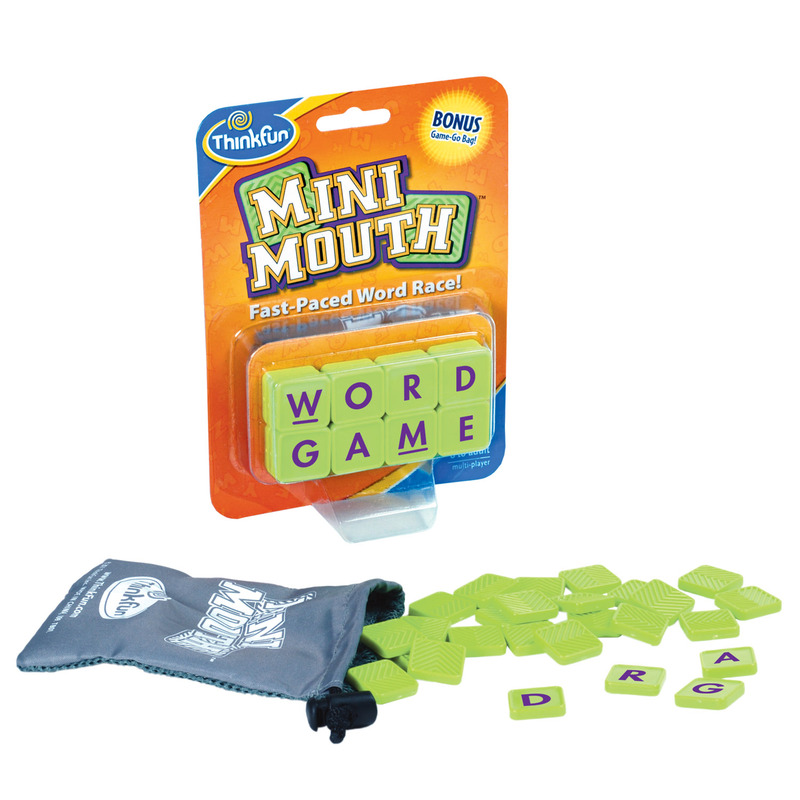 This summer I won a game from Thinkfun called Mini Mouth. The object is to draw 2-5 letters and be the first one to shout out a word that contains those letters. Yes I did play it this way with my family but realized it might need modifying with my speech/language caseload. It is easy to keep in my purse or therapy bag and take with me. I played it following the game rules but have also changed it for some students. We pick a category (food, animal etc) and we flip a tile and try to name as many items that start with that letter. The kids also like to each have their own tile and think of an item that starts with that letter and give clues and see if we can guess it. Great toy to work on vocabulary, problem solving, spelling, turn taking and more!!! I was then contacted by Thinkfun and asked if I would be interested in trying another product. Oh yes!!! This one is called PathWords Jr. This game builds vocabulary, spelling, and spatial reasoning skills. The object is to fit the correct Tetris-style puzzle pieces over letters to spell words. I used this with a two boys who were working on cooperative play. I gave them the basic game instructions and then they were on their own. It was great to see them dividing the puzzle pieces, taking turns and giving advice. I noticed that some of the “advice” was moving the puzzle piece for the other student. I reminded them that if they did not want “finger help” they needed to tell their partner. 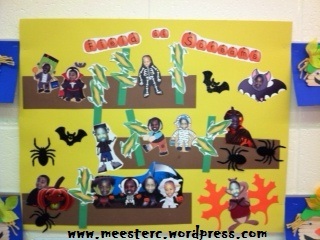 This was a really fun activity and helped to work on social skills too. I don’t know about you but /r/ sound errors are not my favorite. If I am successful and have a child imitate my /r/ in one of our first trials I am thrilled! Sometimes that doesn’t work so we work on tongue placement and that might work..hurray! If that doesn’t work then I might teach a “g” and move it into an /r/ often with the word tiger . Oh boy if that doesn’t work I might try using “l” and have them slide their tongue across the roof of their mouth and cross my fingers. Ok maybe move from “ah” to /r/. (Big sigh) Now if nothing works then we come back the next session and start all over again and again. I have not found “the one” trick that always works. Each case is different and some move quickly into words and sentences. The ones that try and try but still can’t reach consistency can be frustrating for everyone. But as an SLP we are known to never give up. We try different techniques and tools. We research for other ideas. We collaborate with co-workers and other SLPs through social media. And some days we even get to dismiss a student from /r/ therapy!! Smarty Ears had a recent update for /r/ intensive and has added new flashcards, a matching game and a guessing game. 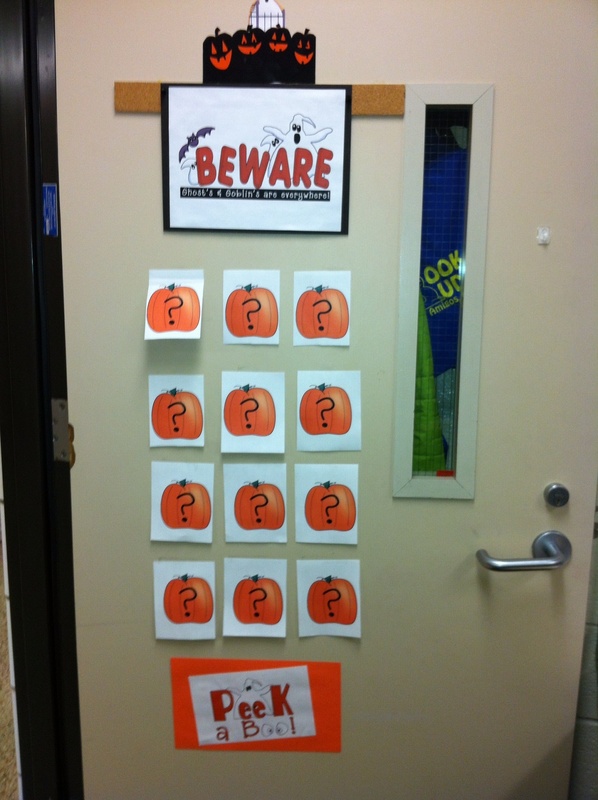 Not only is this a great way to target those pesky /r/ errors but it is very engaging for my students. 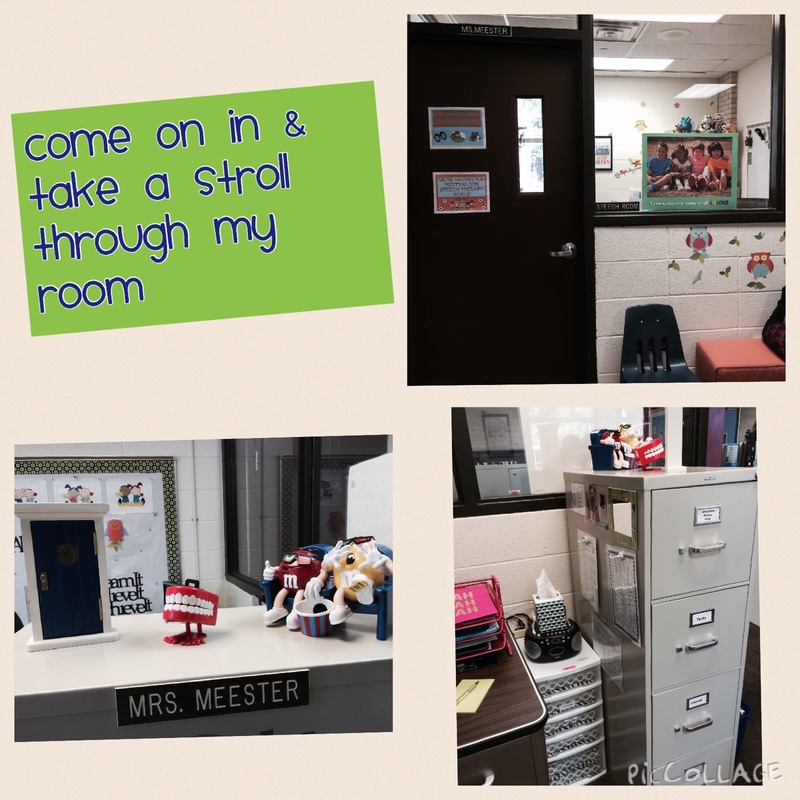 I always use apps in multiple ways so my twist for this app is using it with all students on my caseload. I can play guessing games to expand describing skills. I can use it with my fluency students to practice techniques at the word, sentence and storytelling levels. TenseBuilder from Mobile Education Store- is designed to help students learn how to identify and use correct tense forms by playing movie quality animated videos to demonstrate past, present and future tense. I have been using this with my students in group activities. 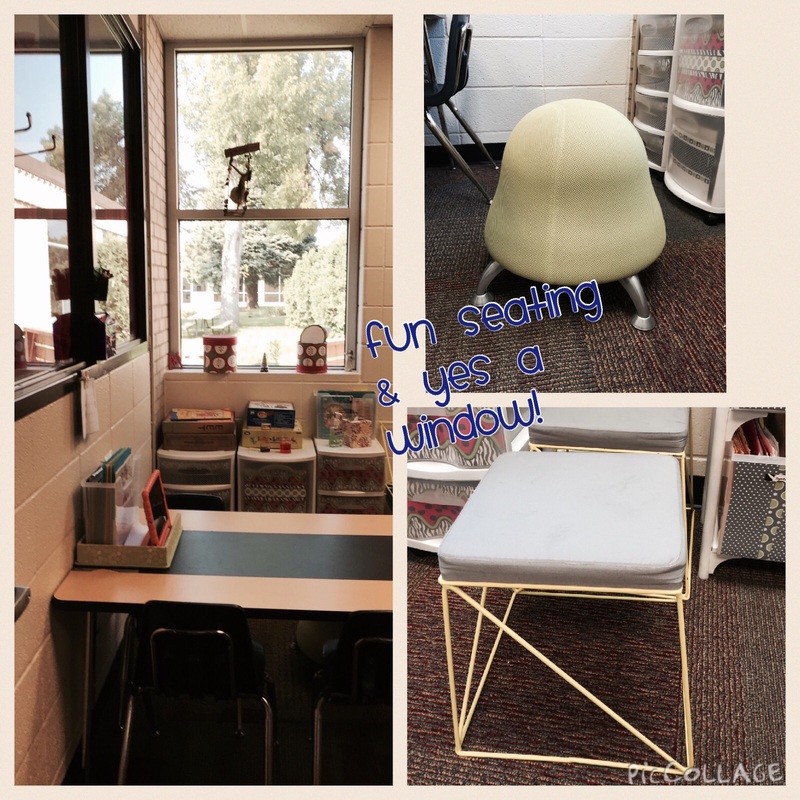 It makes a great cooperation activity. My youngest students need to focus on using present regular tense in complete sentences (He is calling). So we have concentrated on using the videos to learn about this and record our “big sentences” within the app. The kids love to hear themselves and are even starting to self correct their errors after listening! My older students are working on irregular tenses and love to see if they can get their answer correct before the movie ends. It has become a contest among the group of boys on who can shout it out first. I have 2 codes for /r/ intensive and 1 code for TenseBuilder so here is what you need to do…. 1. 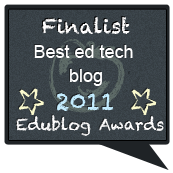 Leave a separate blog comment for each app you would like to win. 2. 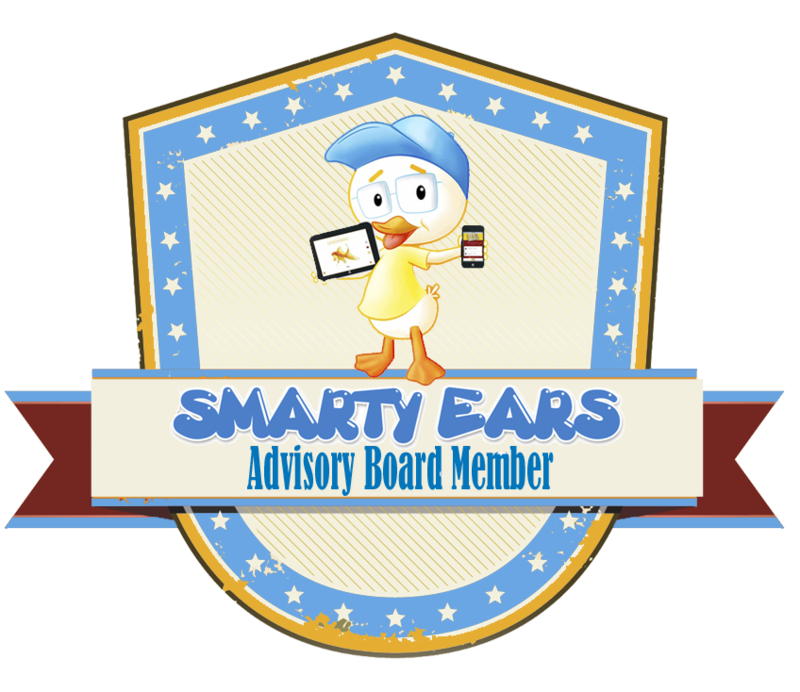 Like the Facebook pages for Smarty Ears and Mobile Education Store and leave a another blog comment that you did this or already are a fan. 3. I will do a random drawing for the app codes on Sunday 10/7/12 after 7:00 pm Central time. The codes are for US iTunes. 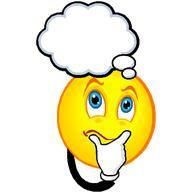 I thought about lots plans…. So why haven’t I acted on these wonderful plans? Well first motivation went on vacation then diligence kept taking naps so I talked myself into nothing. In the meantime all the plans floating in my head began to materialize like magic. How can this be I wondered? Did I send telepathic thoughts out? Did I mention it in another blog posting? Hmmm… then I remembered that SLPs are creative and often share the same brain. So the ideas I was going to work on this summer have already been created by others. Oh darn oh shucks pass me another margarita tissue. My mottos have always been to share and don’t recreate a new therapy material if it is already out there. Plan three-ten: …. I forgot what they were but I’m sure they are brilliant. I’ll just wait until someone else blogs about them. You know it’s nice Letting Others Lead once in a while. So now that “my plans” are done what is left to do besides sit on the deck, read and enjoy my summer vacation? So while I am enjoying the day here are some oldies but goodies that you might not have explored on my blog pages. I promise to be back with some new ideas once I can find where Motivation is vacationing. 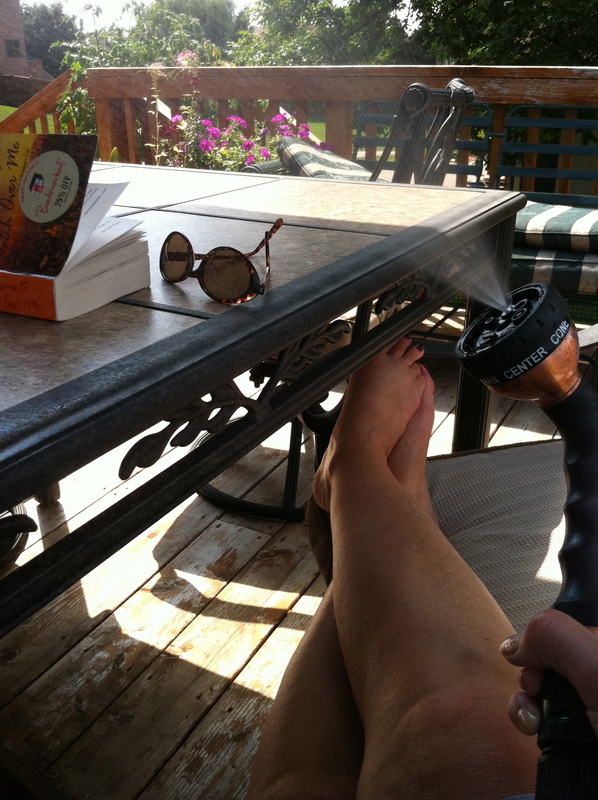 In the meantime here are some fun apps I am playing with this summer in private therapy sessions and on my deck! iBernard HD or iBernard – great for social skills- what is he thinking, what will happen next etc. Are you BOARD? 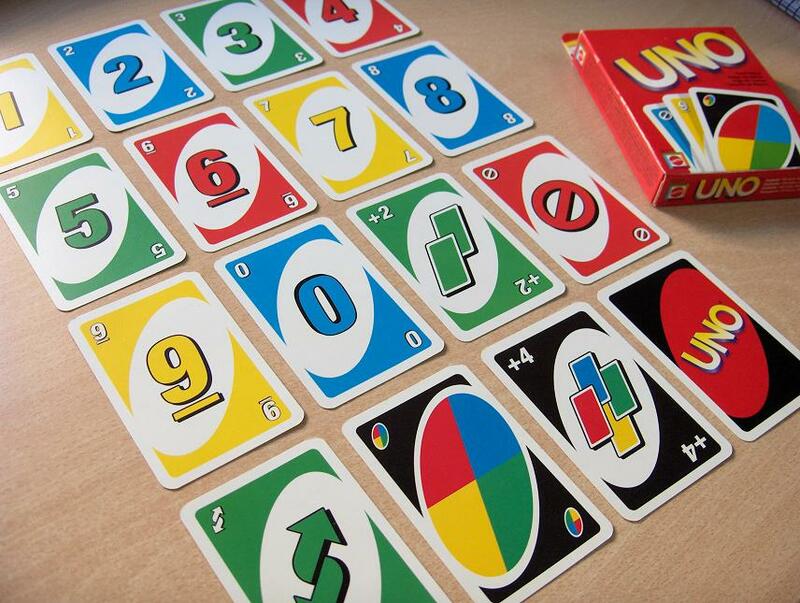 UNO I am! Plus a giveaway!!! I love using my iPad and many games are now an app. 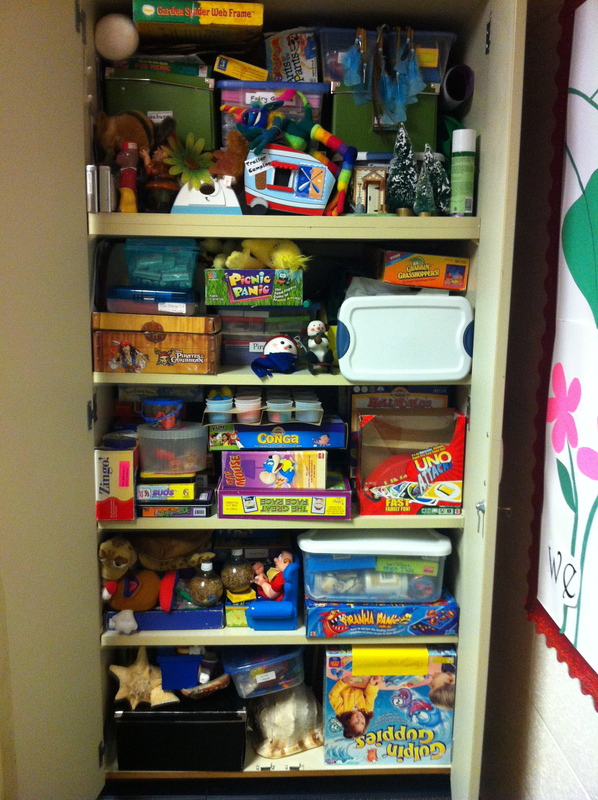 But I still have all these card and board games in my speech room. Do I give them away? Do I re-purpose them? Do I toss them? Do I leave them in the cabinet and forget about them? Since my speech room is small I was given a cabinet to use in another location. It is close but I decided to house my theme unit boxes and some of my games. The access to these games is a little tricky since they are stuffed into the “theme cabinet.” I did make a list of the games to help remind me but… I think I need a better system. I had thought about putting the game boards into picture frames but decided to try some other ideas floating around in my head. So…I took home some of my games that included a game board or that I could pull out of the cabinet easily. 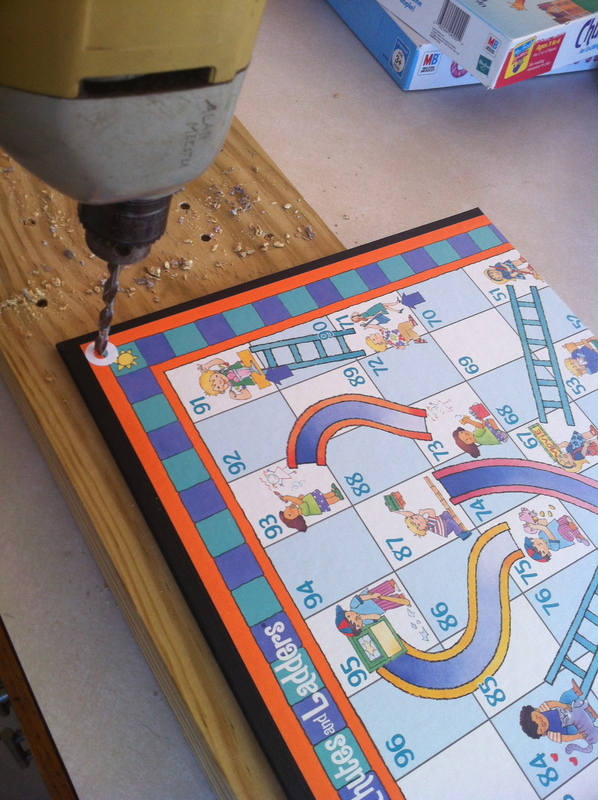 I put hole reinforcements on the two corners of the game board that were being drilled. We left the game boards folded so we were able to drill through two corners at once. Be sure to drill on a board and not your counter! I was lucky enough to have my husband drill the holes. I think he got nervous when I has asked him where the drill was…LOL. But you can easily do this yourself too. 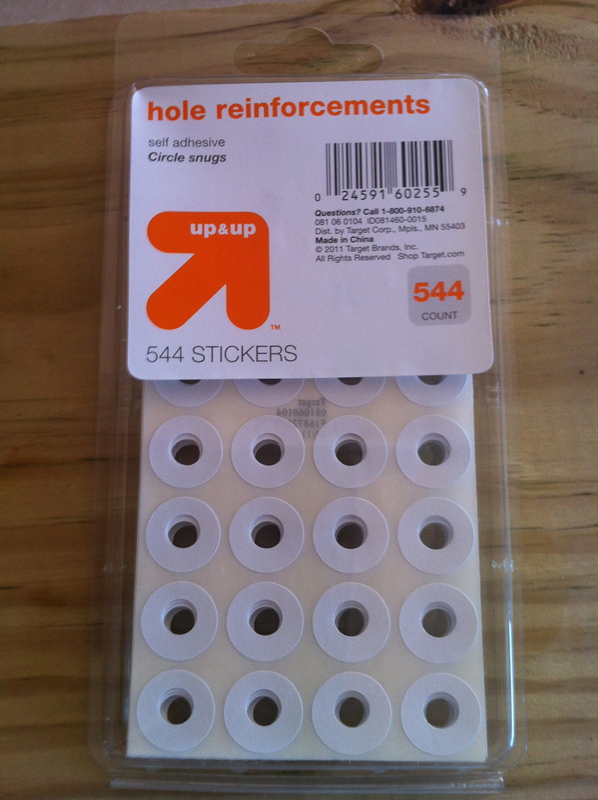 After drilling I placed hole reinforcers on the front and back of all holes. Now if this is all you want to do you can hang the boards from hooks in your therapy room and store the pieces in small containers. OR you can check out the next options. FYI: I did not end up drilling holes in the Hi Ho Cherry-O or Chinese Checkers games. They did not have the flat game boards like the other games shown in the picture above. I’ll come up with something else for them. I purchased several options to attach to the game boards. 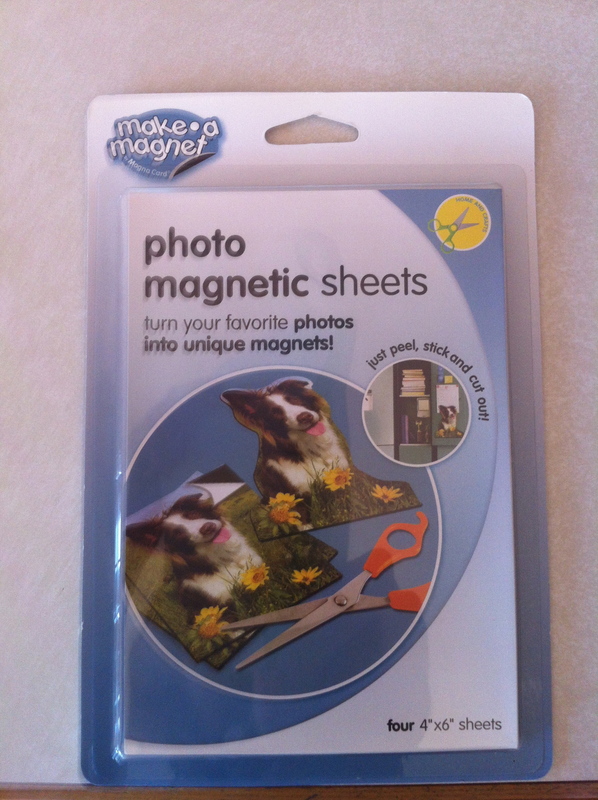 The dry eraser sheets and photo magnet sheets were purchased at Office Depot and the felt sheets at JoAnn Fabrics. This was super easy- just peel and stick. The sheets can be removed easily. Now here are my ideas for this option. 2. Use as a barrier game- the board bends in half and can be placed horizontally or vertically. You can take turns giving directions on what to draw. 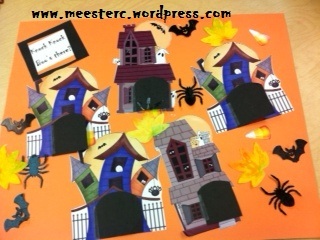 You can also use window clings like the spiderman ones shown and place them on the board and give directions. 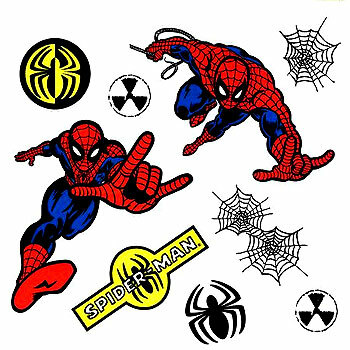 You can even combine these two ideas; for example- draw a house in the middle- put the black spider on the left side of the house- put spiderman on the top of the house, etc. Once the directions are completed you can lay the board flat and look at the results side by side. 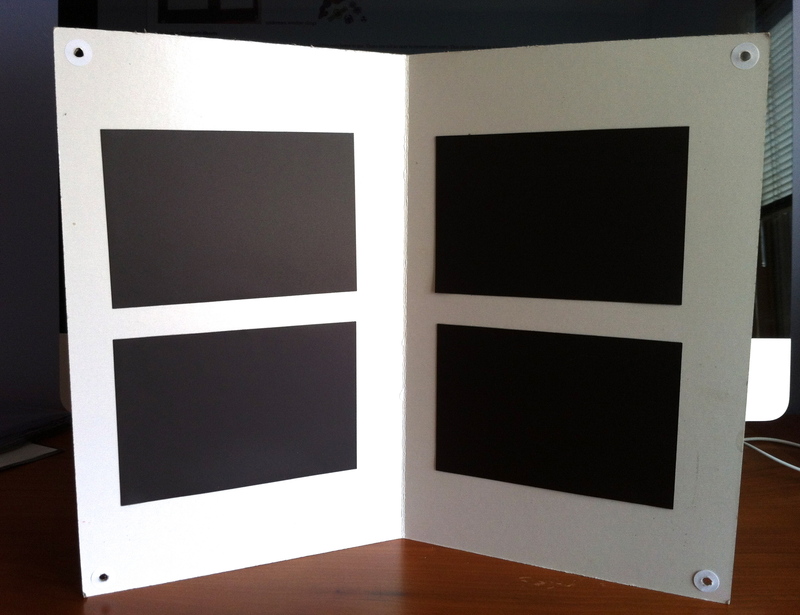 I used 4″x6″ photo sheets but there are larger versions available which I think would be even better to use. These are not as easy to remove and reuse. This could be uses as a barrier game with magnets. 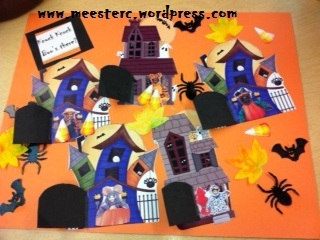 I used felt sheets and a glue stick and double-sided tape. I used the glue stick but I think the double-sided tape would be enough- just be sure to add tape across the middle and along the edges. 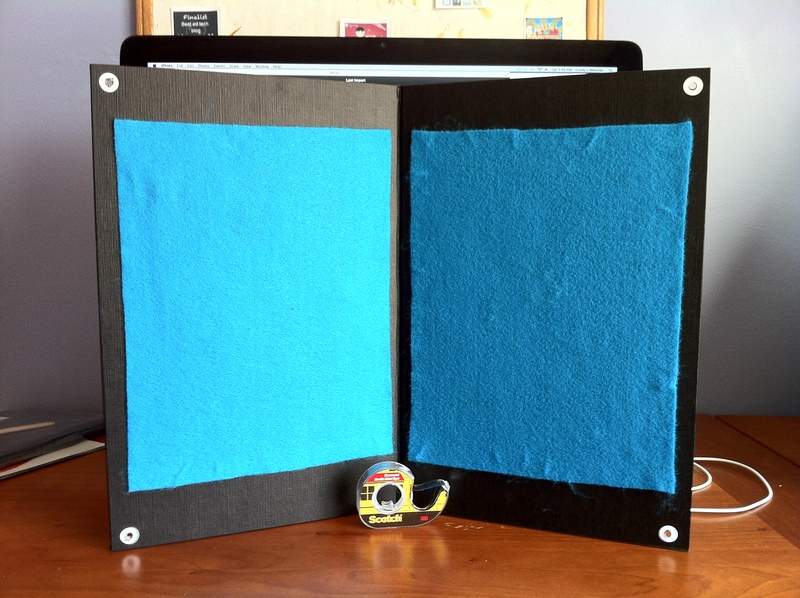 This is an option for attaching pictures with felt or velcro backings (the hook part). You could use this to create stories, learn vocabulary, etc. 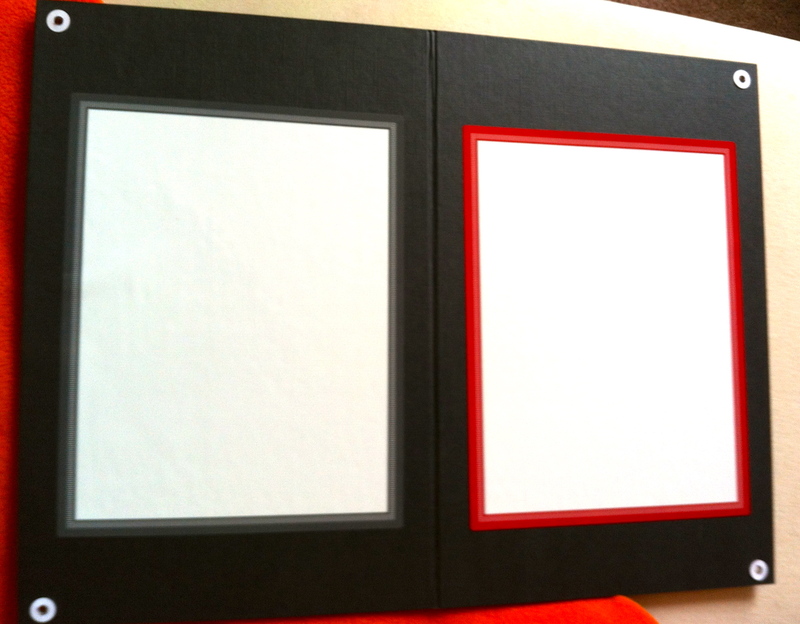 If you have room you could hang several boards next to each other to create a bulletin board effect. 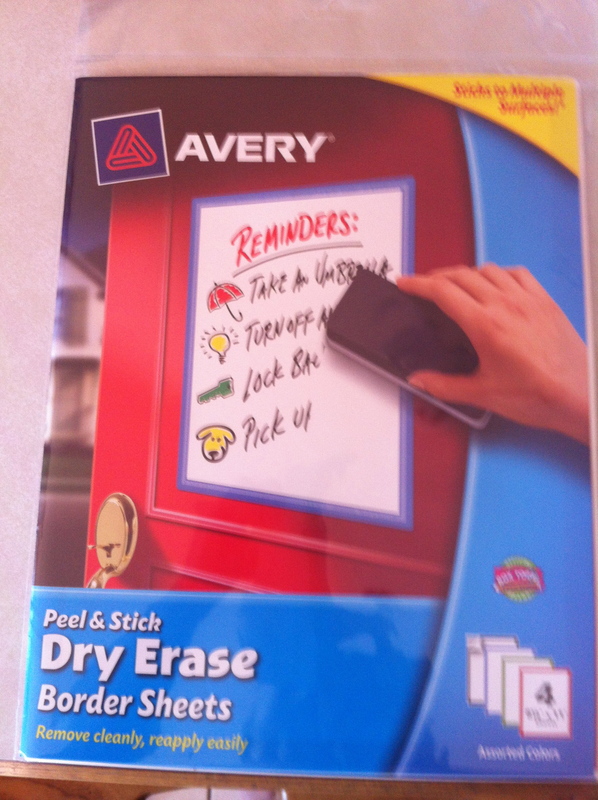 There are calendar dry erase sheets, cork sheets and larger magnetic sheets that would be options to try. While searching for ideas for storing games I came across this site- OBH Enterprises. They have a great product called GameSavers. 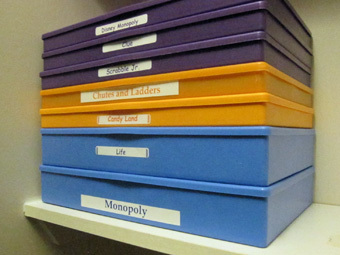 These are plastic containers that are used to store your game boards and game pieces. The boxes come in three sizes to fit most games created after 1998. The boxes also include stickers to attach to the box for easy identification. I was happy to receive two of the GameSaver boxes to test. So here is my disclaimer: The boxes were given to me for free but my review is based on my own experience. 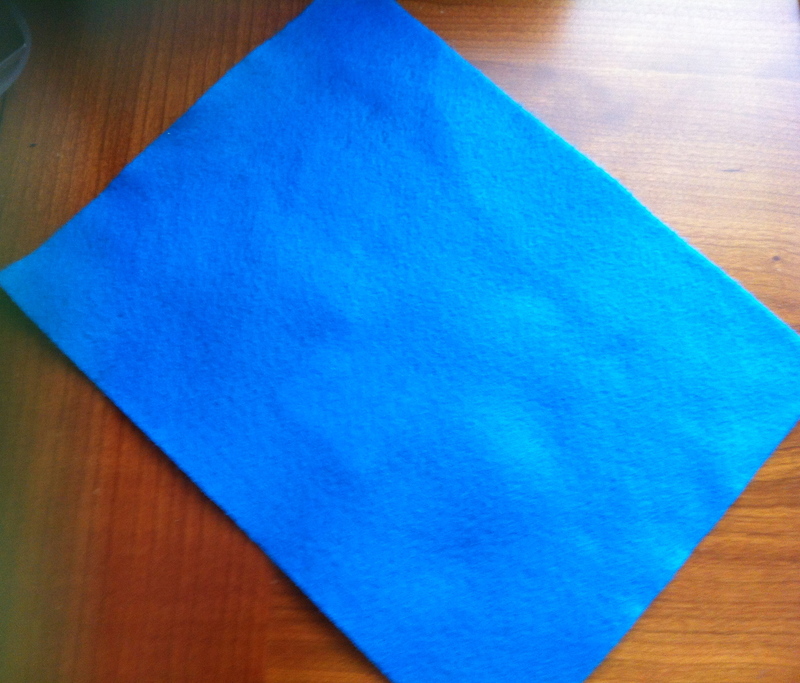 The larger electric blue GameSaver box is made for games like Monopoly, Life, or Risk etc. It is has a built-in money tray. I was able to put two games in this container- Candy Land and Chutes and Ladders and still close the lid. It measures 16 x 11 x 2.5 inches The game board must smaller than 15.75 x 10.5 x 1/2 inches (double folded rectangular or square boards) and game pieces cannot be thicker than 2 inches in at least one dimension. This sells for 13.50 on the OBH Enterprise website. The second box I received was the juicy orange midsize container. 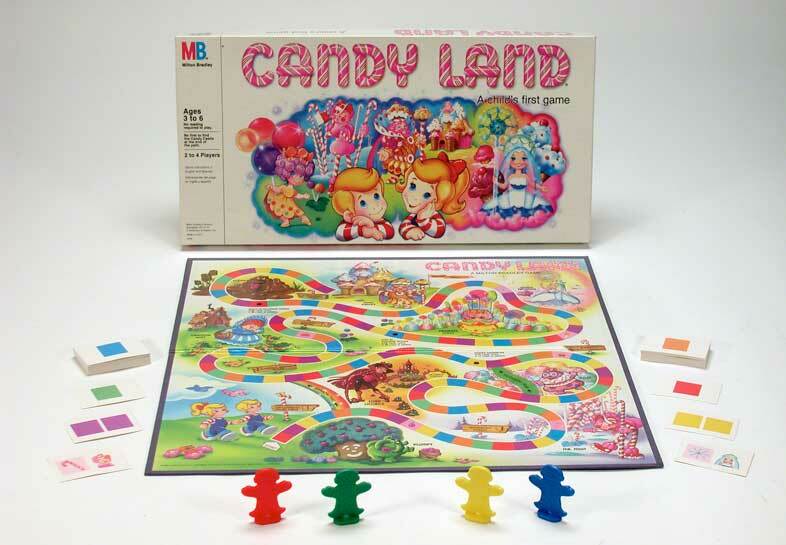 This size holds games like Candy Land, Chutes and Ladder, Clue, Stratego, Parcheesi, Charades for Kids, Scrabble, Jigsaw puzzles, Legos and more. It measures 16 x 11 x 1.5 inches. The game board must be smaller than 15.75 x 10.5 x 1/4 inches (Single folded rectangular or square boards) and game pieces cannot be thicker than 1.25 inches in at least one dimension. This one sells for 11.50 on the OBH Enterprise website. I was able to put two game boards (checkers and Word Trio) and the pieces in this box and close the lid. The snazzy purple GameSaver box holds games with double folded square boards The board must be smaller than 10.5 x 10.5 x 1/2 inches (Double folded square boards) and game pieces cannot be thicker than 1 inch in at least one dimension. I did not receive this size so my information is based on what can be found on the OBH website. It measures 16 x 11 x 1.5 inches. It can hold games like Aggravation, Clue Jr., Charades for kids, Dora the Explorer, Family Feud, Monopoly Jr., Parcheesi, Scrabble Jr., Sorry, Scene-It DVD, Trivial Pursuit DVD and more. This sells for 11.50 on the OBH Enterprise website. I found these boxes to be light weight, stack and store easily. It was easy to recycle bent and broken boxes and replace them with these GameSaver boxes. The GameSaver boxes come with one label per game. There are times I store my boxes the long way and times I store them the short way. So the only thing I added was an extra label on one side of the box. Now I have lots of options on ways to store my games. I will hang a couple on hooks but I can still store the pieces in my GameSaver boxes. I will store others in the GameSaver boxes. One of the great things about these boxes is they are the same length and width which helps a lot when storing goes together. No more trying to stack game boxes of different sizes that just never fit together and can become an annoying puzzle to figure out which piece goes where. It looks like I will be ordering more of these once I get back to school and dig out the rest of my games. FYI my Hi Ho Cherriy-O and Chinese Checkers games did not fit into the GameSavers containers. So be sure to read the will my games fit on the companies web page. The company also makes a product called BeachPack which can be viewed on their website. I have a 25.o0 gift certificate to buy products on the OBH Enterprise website. The gift certificate will be mailed to the winner. My school year is ending on June 8th. I am starting to mentally pack up my room and I’ve already run out of nooks and crannies. How can I store it all? Yes my iPad is wonderful and has a wealth of apps that work great in my sessions. BUT…I have a lot of other great stuff too. I’ve talked about downsizing in past posts but I still have many things (ok maybe TOO many) that I want to keep. I promise I will use them…pinkie swear. In the meantime I will do my best to organize, pack up and get ready for summer break. So what do I plan to do this summer? 6. 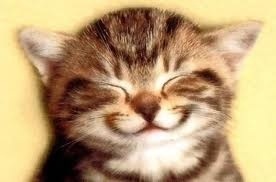 Maybe even start a Facebook page for my blog… I’ve been encouraged to do this but what should the page be called??? Send me your ideas! In the meantime I packed away my Ocean theme from my last blog post and my room is looking a little bare. The kids are complaining. 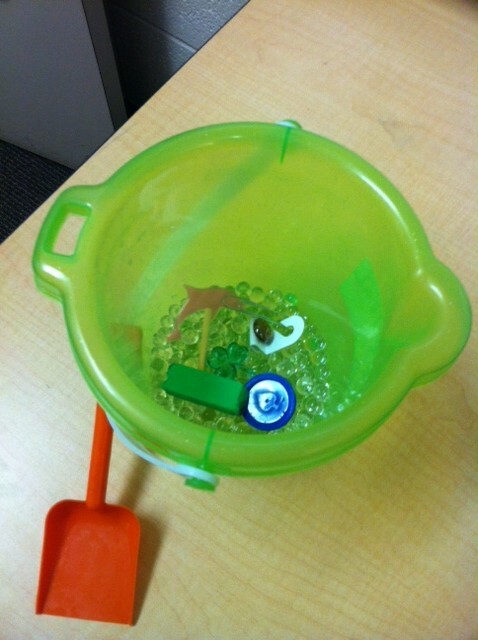 Wait… I did leave the sand pail with the liquid water beads out…hmmm. Ok a couple more ideas but I’ll try to make these easy and disposable. So since I mentioned losing my marbles here is what I plan to do with them! a. Just play with them- they feel wet and the squeals from the kids are so cute! We can include a few adjectives to describe them for a language goal. b. Add items and try to find them (without looking) – paper clips, hard marble, dice, any small trinket. Language twist: talk about the sizes and shapes; Articulation twist: use small laminated words or cards instead of trinkets; Fluency- create a sentence for the trinket or card with easy speech. d. Put a few outside in the sun and make predictions on what might happen to them… I don’t know but my guess is I will be finding out one of these sunny days! 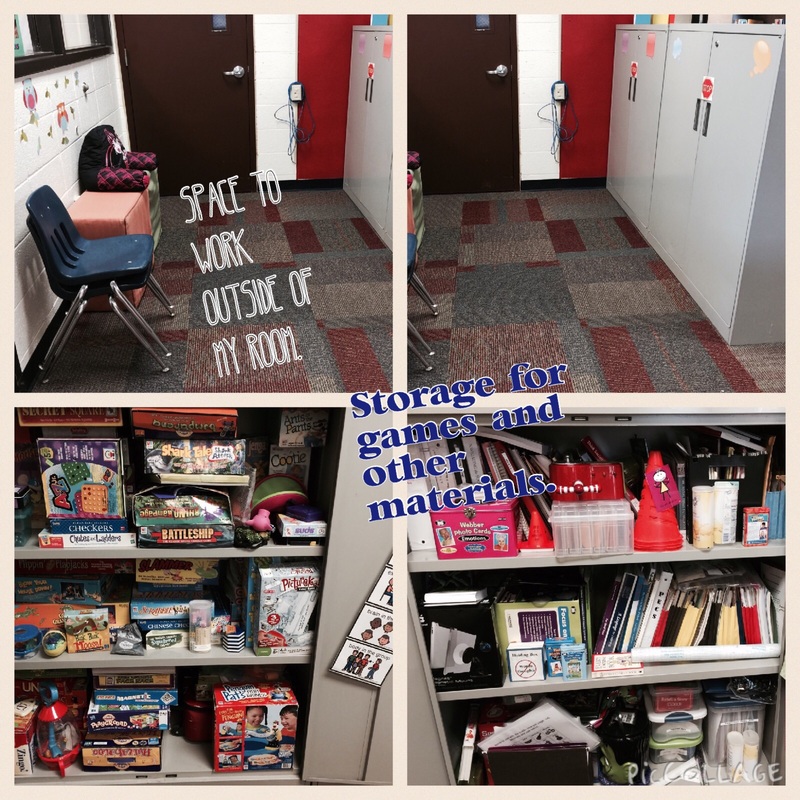 e. Brainstorm a list or find pictures of other things that fill up with water…. pool, water balloon, etc. There you now have five ideas to use until the end of the school year! Enjoy and then to downsize just ..
$. Toss the liquid marbles or put them in baggies and send them home with kids…nice surprise… maybe! Or use them at home in vases for fresh cut flowers. 4. Save the sand pail and take it home – you can use it as intended but I see a slushy drink with a little paper umbrella added to mine!